I was in denial because I was unprepared to have Zyggy, because we did not have health insurance and we were very tight in our economy but God had sent him to us for a reason and we were determined to make the best out of our situation. We love him just as much as we love all our children. We did not expect to have any issues since we already had two other typical children. On the day of the 20-week ultrasound, April 17, 2015, the whole family was preparing to go into the room for what we though was a normal visit to find out the gender of the baby. My daughter was so excited because she was sure the baby was going to be a girl and she was going to be called Rose. When the ultrasound technician started passing the probe all around I could tell that there was something not quote right from the expression on her face. She showed me the baby was a boy and she told us that it looked like he might have clubbed feet but it was a bit early to tell. On May 20th, we were sent to a specialist who confirmed to us that the baby had clubbed feet, but he reassured us that usually it is just positional and it could be corrected at birth with a couple of months in casts and a fast outpatient surgery. We never even entertain the thought that it might be an early indication of something much more complicated. It was around 8:00pm when I walked into the labor and delivery floor at El Paso Children's hospital made they asked me if I had any signs of labor to what my husband answered that we were there to get induced. The doctor came in and broke my water after getting settled in the room. I started feeling the contractions around midnight and I had requested to have no pain medication. I wanted to be brave and worked through the contractions. That is, I can now be sure, the hardest thing I have ever done. So when I did the final push and he was out, it was an instantaneous relief from the pain and an overwhelming feeling of awe. When I finally got to hold him, I couldn't take my eyes off of him and I wanted to comfort my baby. I wanted at least a little bit of the experience that I had been planning to have with the home birth. We were unaware sort of about the situation we were going to face with Zyggy. All we knew was that he was born with clubfeet and we were going to work on making him better. In my heart, though I knew something was not quite the same as with the other kids. A couple of months after his birth we found out the job my husband had interview for had hired him and we needed to move across the country. We were so overwhelmed with this move that we unconsciously ignored the first signs that Zyggy was not developing right. On his first check up at our new location, the pediatrician confirmed my earlier suspicions that there was indeed something wrong with Ezykiel. She immediately referred us to the first of many specialists we went to see. Nobody seemed to have a concrete answer for us. We, meanwhile, got him enrolled in therapy of all kinds hoping that he would start catching up to his development. After many a close door from different avenues and predictions, we finally had an answer to the mystery of his condition. Allan-Herndon-Dudley Syndrome; this was like a relief but also a different kind of burden. The doctor mentioned to us that usually children diagnosed with this condition almost look like vegetables according to what he has seen. At the appointment when we got the answer, he mentioned that he was surprised by the fact that Ziggy did not look like the typical description in the literature. He was able to walk with assistance and he was able to communicate with us by doing clicks with his tongue when he heard the choice he wanted. We also demonstrated that Zyggy was able to understand simple commands when we asked him to give us "Five" and he attempted to with all his might. Another thing the doctor mentioned was the fact that most kids with this condition if not all he knew about were fed via tube feed, due to their inability to swallow properly, but Zyggy was feeding like any other normal kids except with a bit of difficulty but nothing to need a tube for. All this was so confusing to me. God gave us a child that has a rare condition but he was not fitting the description because of his willingness to fight it and get pass it. My heart was also crushed when I was told that there was a high chance that I was the one who had passed it on to him, so they were mentioning the recommendation for me to get tested. I felt guilty for being defective even though it might not be my fault and also producing a kid that was "defective" even though it was not his or my fault either. When I got the answer back about my own testing, I was completely crushed. It was confirmed that I was a carrier of the genetic trait and that I had a 25% chance of passing down the defect to my children and 50% chance of having another male child with this condition. I had been desperately searching for someone to understand my situation but it seemed impossible. 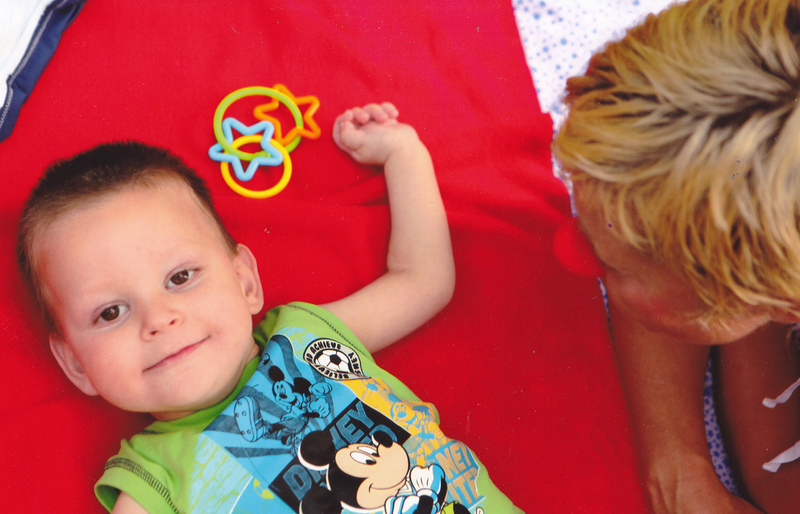 Nobody, I felt, could relate to us since nobody had heard of a condition like my son’s. I kept searching for support groups online or even updated literature but every search came back the same. One day, I decided to post a picture of Ezykiel on my facebook page and talk about my frustration. This desperate outreach paid off as one of my good friends pointed me into the direction of the support group on Facebook. I felt a sudden relief from the pain of being isolated, and felt like I finally could relate to someone who understood what it felt like to have a child with this genetic condition. Now I just pray that eventually one day, an effective treatment or even a cure can be developed for our children.